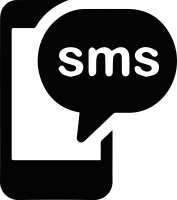 SMS plugin enables sending preset SMS messages to your patients for appointment confirmation and recall as well as custom messages. All is done directly from inside OpenDental. other providers than CallFire including DirectSMS, SMSGlobal, Textlocal, NeonSMS, Twilio. 4 Jan 2018: complied with OpenDental 17.3.38 and support sending SMS via Twilio service. Fix "Boolean" error when sending text because of the recent change from OpenDental which affects 16.1.37 and 16.2.43 onward. If you use any of these version, download SMS plugin version 16.2.43.